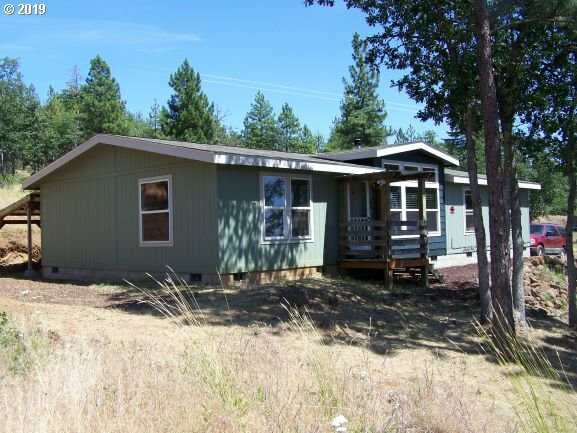 All Goldendale homes currently listed for sale in Goldendale as of 04/19/2019 are shown below. You can change the search criteria at any time by pressing the 'Change Search' button below. 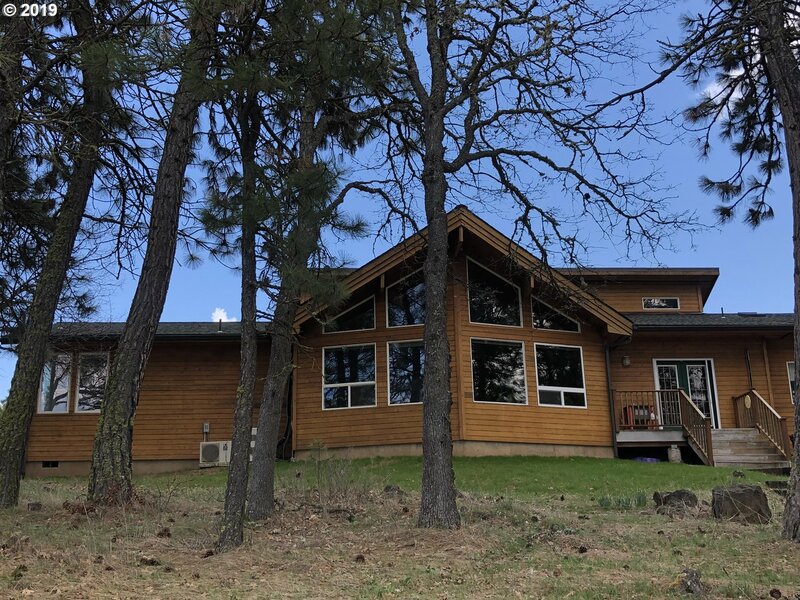 If you have any questions or you would like more information about any Goldendale homes for sale or other Goldendale real estate, please contact us and one of our knowledgeable Goldendale REALTORS® would be pleased to assist you. "This home/property has it all! Lodge Design Perfect for Church/Corporate/family/Equestrian Retreat sleeps 21.Top quality throughout, fully furnished. Beautiful Kitchen, quality appliances.Huge Great Room, wood/gas fireplace + wood stove.Landscaped interior court yard, indoor pool. 80' x 120' Barn/Arena 9 stalls. 60'x 100' addtl Bldg. 403 rolling acres of natural beauty. 80 Kilowatt Generator, 3 irrigation + 1 domestic well. Must see!" "A once in a lifetime opportunity for a quality built almost new cabin on an exceptionally beautiful wooded private waterfront Mill Creek property with a Water Right Certificate, located near 1,000's of timber company and wildlife land. 2 bridges and a waterfall create a magical ambiance. 2 bunk houses, gazebo, and a 50x64 outbuilding (3200 sq. ft.) adapts to a barn/shop/garage as you need. 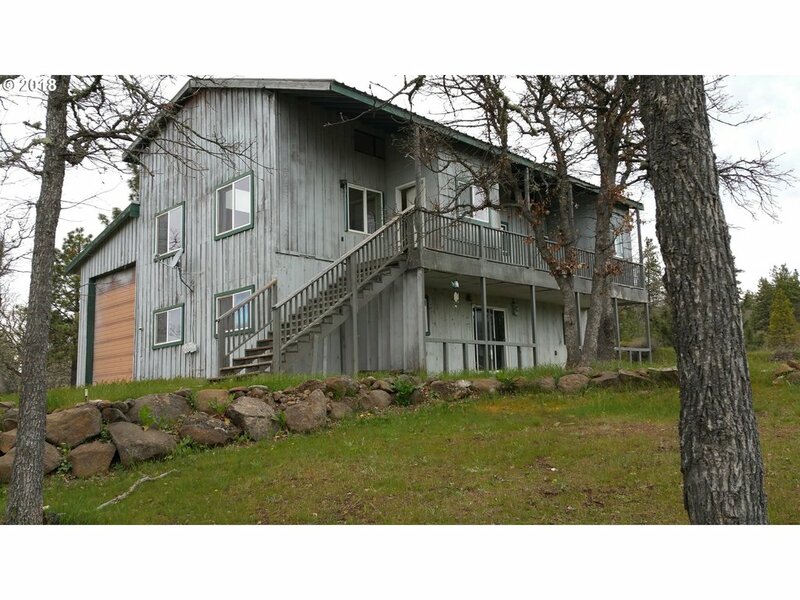 Revised price includes adjacent 5 acres/cabin." "Unsurpassed quality in this custom cedar home. Floor to ceiling rock work on the 2 sided gas fireplace, radiant floor heat, granite counters, wine cooler, gas range, vaulted cedar ceilings. Huge master suite w/walk-in closet, 2 sinks, walk-in shower & garden tub. Mt. 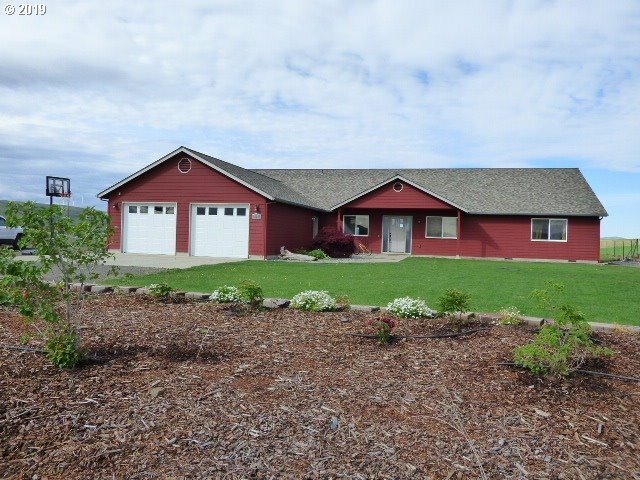 Adams views, year round creek, 30gpm well all on 32 acres of rolling, fully fenced ground. Triple garage + approx 40'x60' shop/barn ready to use. Must see to appreciate!" "A rare opportunity to own a one of a kind horse ranch, on 35.66 acres w/ Water rights to Bloodgood Creek! Beautiful home with open living rooms, granite counter tops in kitchen, 2 fire places, 3 bedrooms and library. 1st barn has wash rack, insulated tack room, in/outdoor paddocks & holds 80 tons of hay. Outdoor arena & round pen. 2nd barn has indoor arena w/ 16 stalls, lounge room w/ bathroom, wash & dry stations.BY APPOINTMENT ONLY"
"Tall trees & park like setting! Like new forever home or wknd retreat. Quality construction. Huge bedroom & walk-in closet. T&G Pine.Woodstove. Additional bedroom or office in the 48x60 barn, with 1/2 bath & tack or extra rm. 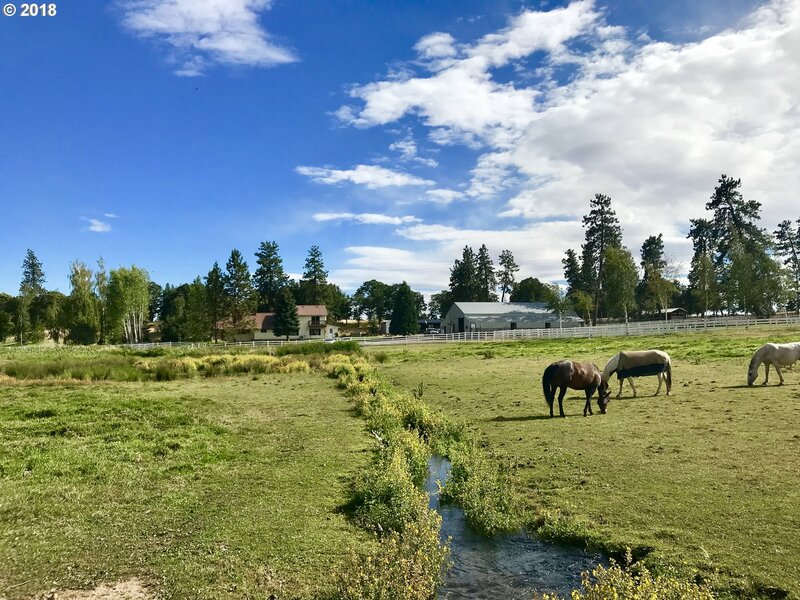 4stalls w/turnouts + washrack on 14+ fenced/cross fenced acres. 4bay 40x48 shop. Wired 220,cement floors,1 opener. Many RV hookups & dump. Borders Dept. of wildlife property. Good road access. Too much to list!" "Immaculate home, barn & shop on 20 acres. Could be 3 bedrm. 2 full baths w/new shower & vanity. Quality wood & tile floors, new counters, hickory cabinets, clawfoot soaking tub+huge tiled shower. Propane stove, plus new ductless hvac. Covered porch on 3 sides. 30x36 shop w/220&cement floors. 48x36 barn with man cave & hay loft. Finished horse stall & multiple bays in the barn. Chicken coop, garden & Bunkhouse too! See amenities." "Price Reduced! Large, ranch style home built by Kaban Homes and Dan Rhoades. Thoughtfully designed with a family in mind! Extra-large bedrooms; 3.5 bathrooms; beautiful great room; Mt. Hood view; within 3 miles of Goldendale. Lots of options with this one. Call for an appointment now!" "Ever thought of doing special events? Weddings perhaps? Maybe a Bed and Breakfast? 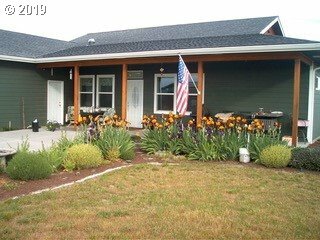 This house is a must see.....Mt Hood splendor awaits you here. Solid as a rock!! Built in 1986, this house has incredible mountain views....Relax in your in-house hot tub, as you enjoy the stars. Plenty of space in this almost 2600 sq ft home. Giant Russian fireplace has new inserts, entirely from top to bottom. 24 hour notice to show..."
"Modern spacious light filled home custom built for its rural environment highlights mountain views. Upgrades, 360 degree views, all one level, open concept, gourmet kitchen with quartz top baking island, two ovens, wheelchair accessible, bamboo hardwood floors, picture insets, 40 yr roof, underground wiring, high speed Internet, Pex plumbing for home and to well, deck, patio. 4 miles to town in a quiet sparsely developed neighborhood." "GOT WATER? Rare one of a kind property! More than you should ever need! 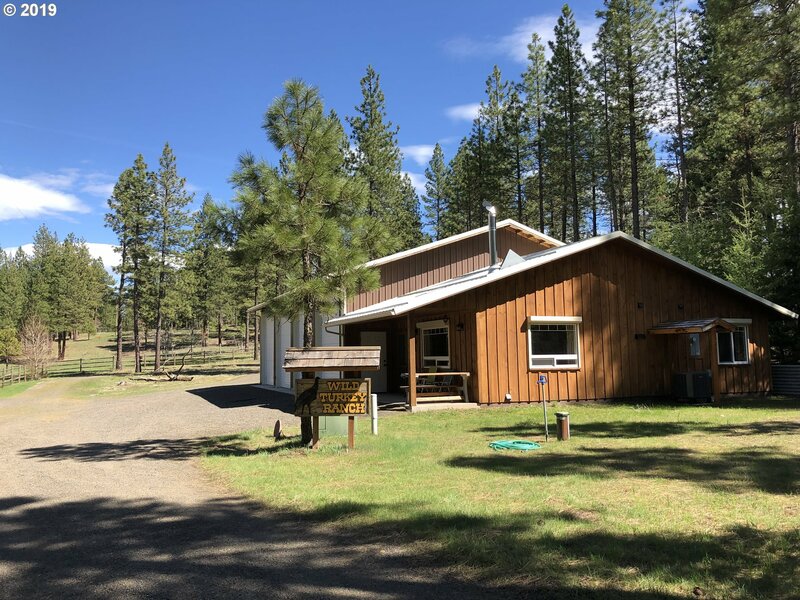 Water Rights, Spring, MH, Shop, Cabin w/woodstove, RV Cover & hookups,2stall barn w/tackrm,7 BIG old Apple Trees, irrigation system, VERY PRIVATE, end of the road property, Thick with trees, Open pasture grass area, creek run thru from spring, fencing. NO DRIVE BYS, please call a agent! Forest tax class, Many extras a must see!" 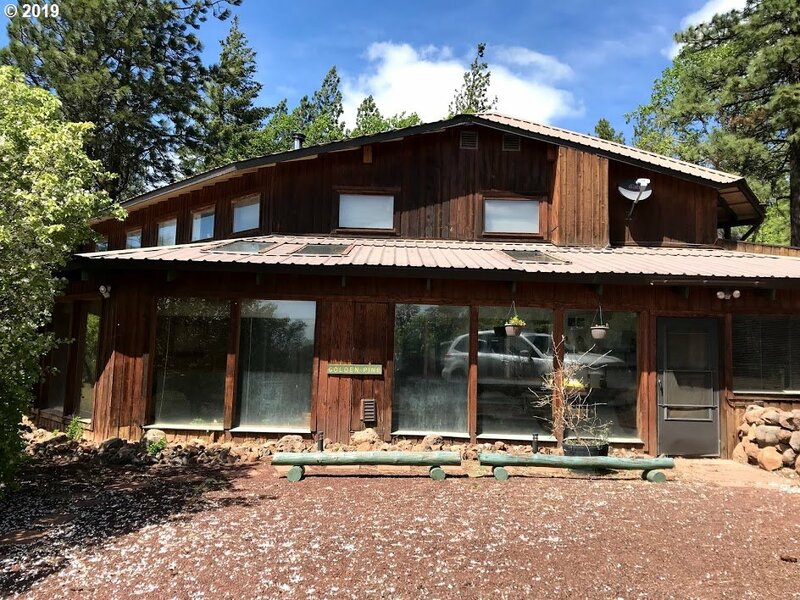 "Beautiful triple wide on 5 acres with views of three mountains. Sprinkler system. Heat pump w/ forced air plus a propane stove. 2 detached garages, 20x22 and another larger one at 32x24 with bedroom and bathroom. Great metal roof, partial covered porch. All in all a great home and property!" 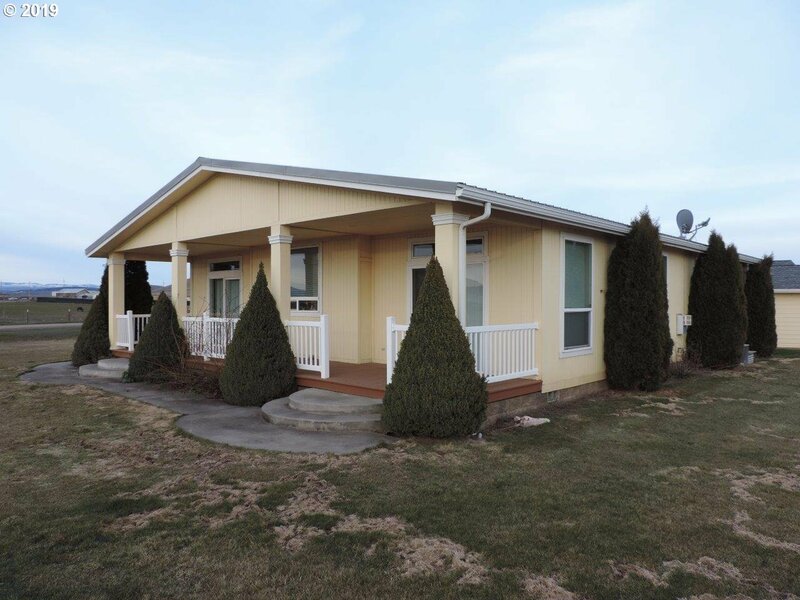 "2014 Marlette manufactured home that has 3-4 bedrooms(possible office), 2 bath with upgraded kitchen and stainless appliances on almost 22 acres with great views. 19'x 18' metal shop with 2 roll up doors and 11' x 18' attached canopy. 1346' Ag building with power and water. Sellers have seen Elk, deer and wild turkeys around. Fenced garden area. Property partially fenced. By appointment only." "Rare opportunity to own a well cared for stick built home on 1 acre in town! 2310 sq ft.3bed/2bath + has endless possibilities. Fully fenced back yard. 3 car 24x30 garage/shop. 30 GPM Private well for the house & undergd sprinklers. Fireplace,gas stove & radiant ceiling heat. Master suite has a wood burning stove also for heat & ambiance. Mature landscaping offers plenty of privacy. Room for a garden & to park the toys!" "Great location, Mt Hood view. 4 bedroom 2 baths. This home has a new heat pump/forced air furnace, newer roof (2017), fresh paint outside and newer carpet. Green house, 3 bay machine shed, most of the property is fenced, front pasture, RV parking, this is a great property!! Call today for your private tour." "This Dutch Colonial style home is solidly built, well insulated and has many energy saving touches. The south facing windows; skylights; and a sunroom allow passive solar heat to warm the home in winter. The concrete floor is heated; the roofing material is a modified bitumen membrane with a 30-40 year life; the upper deck provides a fantastic dark sky viewing area. Lots more including a separate cabin. Call now for an appointment!" "Come take advantage of this brand new home on the market! Recently completed with beautiful finishes throughout, including new stainless steel appliances. Enjoy this home's large bedrooms, dining room, living room, and kitchen. This property has an open design that comfortably flows from room-to-room. The property even has enough space to park an RV. Schedule an appointment today, this won't last long!" "This spacious home is for those that love light and privacy in the city limits; a great home for the extended family. Three levels, lowest level not a basement--easy ground level access. Middle level is the primary living space with master bedroom suite. Upper level could be master suite if you prefer. Several bonus rooms to fit your needs. Big garage, attached office space, separate entry. In neighborhood of higher priced homes." 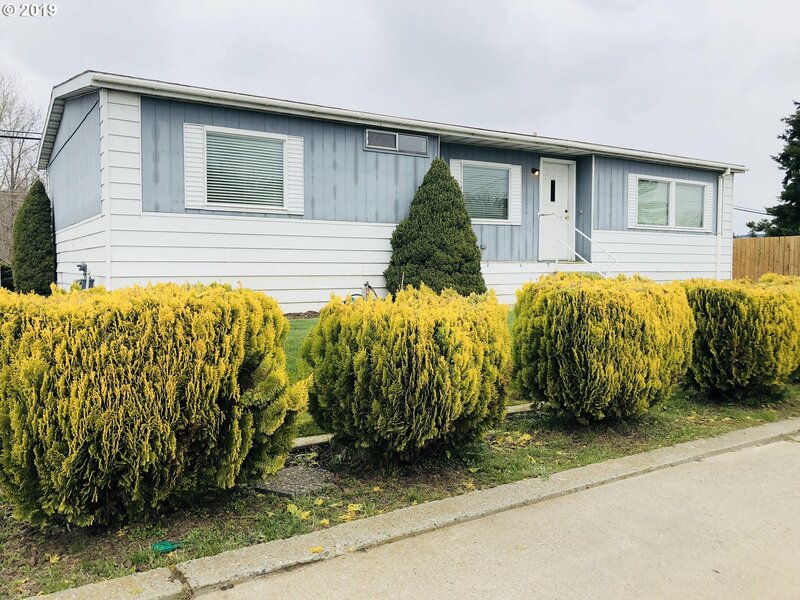 "Many opportunities with this comfortable manufactured home and adjacent lot. Home has gas furnace and fireplace. Large utility room, AC and small covered deck join the garage as the stand out features. Adjacent lot has RV hookup w/the possibility of adding another home. 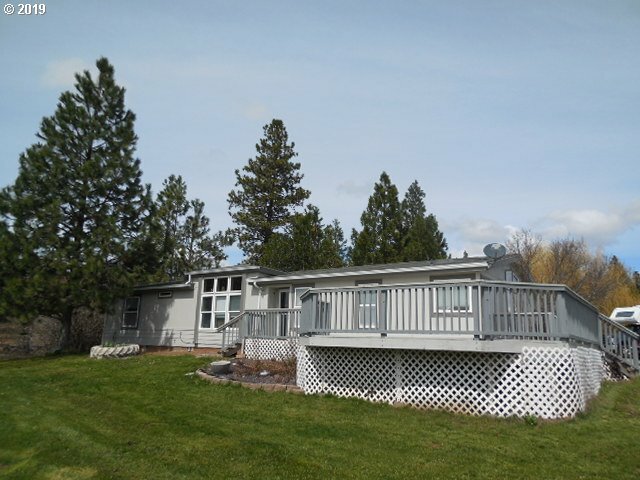 Right across from the swimming pool and access to Ekone Park and the little Klickitat River. Close to grocery store! The price is right!" "Country living only 2 miles from town. Four bedroom, one bath, office space, newer laminate flooring in living and dining room, carport and lots of parking all on a little over an acre of land. A little sweat equity and this could be a very charming place! Come take a look, very easy to see." 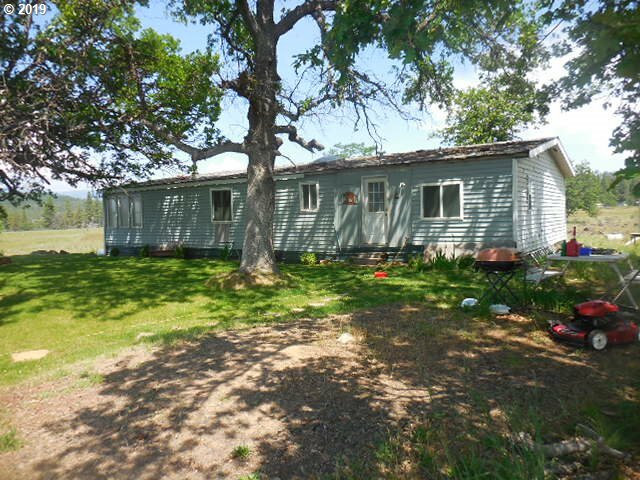 "Manufactured home on 5.54 acres with a few trees and a fenced area for your animals. Property comes with a well house and 40' cargo container for storage." "Cozy 1950's home with some recent updates. Offering 3 Bedrooms, 1.5 baths. Large laundry room from back entry, detached covered walkway to two car garage. 20' X 12' spacious shop off the garage. Partially fenced yard. A short distance to banking, grocery, and a splendid park just across the street. Corner lot with beautiful shade trees. I like it, you will also! This home has SO much potential!! Don't miss out of this deal!"